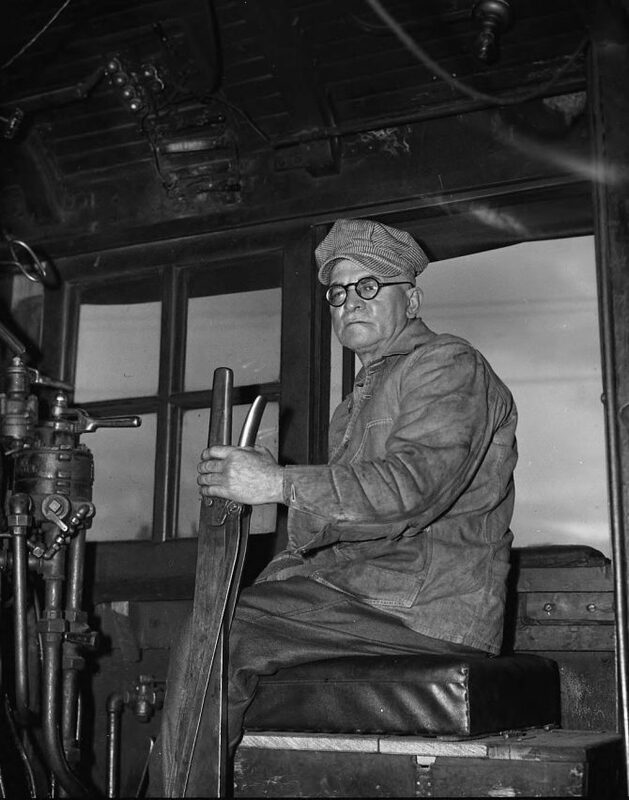 Harry Clark, 65, who lived at 3823 E. J St. is shown sitting at the throttle of a Northern Pacific locomotive in this photograph from December 1938. Mr. Clark had just retired after working for over 48 years as a railroad engineer and "truckman." A truckman repaired broken parts on locomotives. His many years as an engineer made him an excellent engine repairman.